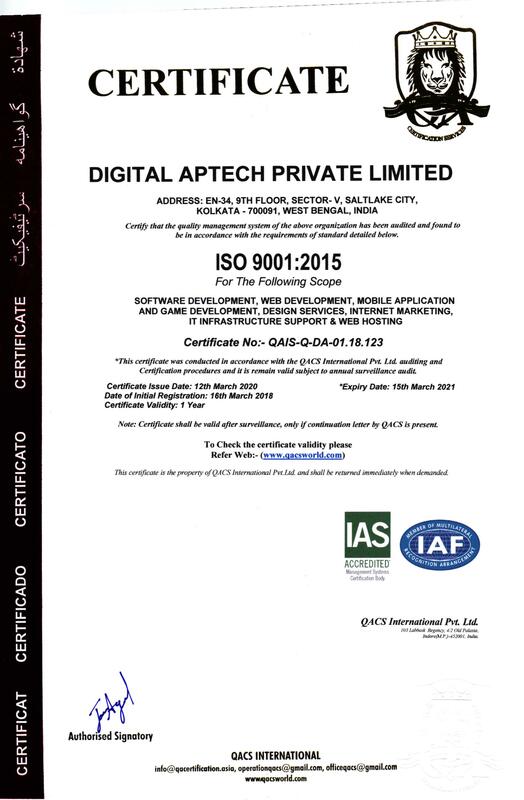 Digital Aptech Pvt. Ltd. makes use of Google Analytics to track standard user data on visitor behaviour flow, traffic sources and audience overview. In order to track specific behaviour, we may use your user ID. Digital Aptech has integrated Zendesk into its website. Zendesk is a live support customer service software that enables direct communication in real-time. This software collects data with the intention to operate the live chat system and analyze the operation of the system. Keeping your information secure is our top priority. We are committed to ensuring utmost security of your information. In order to keep your information secure and prevent unauthorized access or disclosure, we have put in place suitable electronic, physical and managerial procedures. Cookies are small files that a site or its service provider transfers to the hard drive of your computer through your web browser. This allows the service provider’s or the site’s system to recognize your browser and capture as well as remember certain information. Our website contains links to other websites only in our portfolio, which means, the links are of our clients’ sites. In case you visit these links and leave our site, please note that we do not have any control over those websites. Therefore, we are not responsible for the protection of your information once you are on those sites. 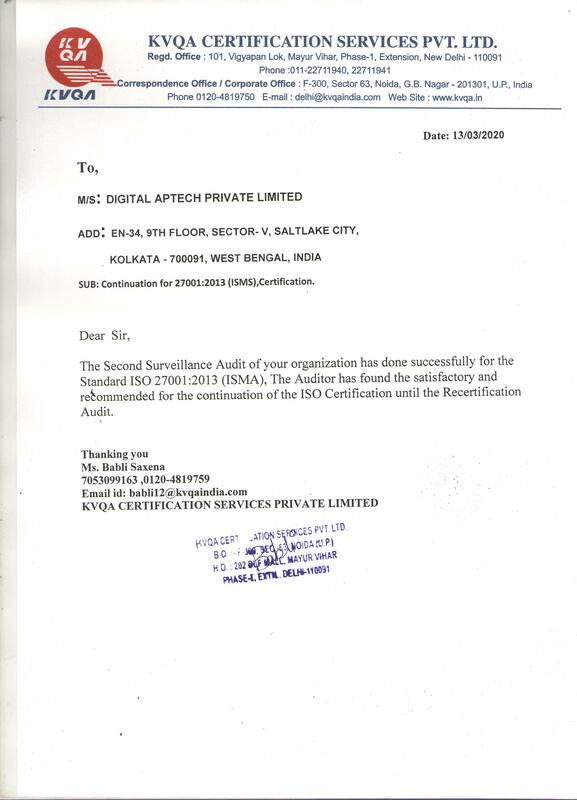 Also, they are not governed by the privacy statement of Digital Aptech Pvt. Ltd.
We provide services to make your company GDPR (General Data Protection Regulation) complaint. We do not collect your personal information for direct marketing purposes. You may choose to restrict the use or collection of your personal information by clicking on the box that you will find on the “Contact Us” page on our website. Please note: We provide only technical assistance to make your website GDPR compliance. Any legal consent should be advised by a certified GDPR consultant/law firm. We do not share your information with any third party. In fact, we do not even use your personal information for our own marketing purposes.